Oneida's Bellini flatware pattern offers a classic, European styling with a gently curving border that reflects timeless elegance. 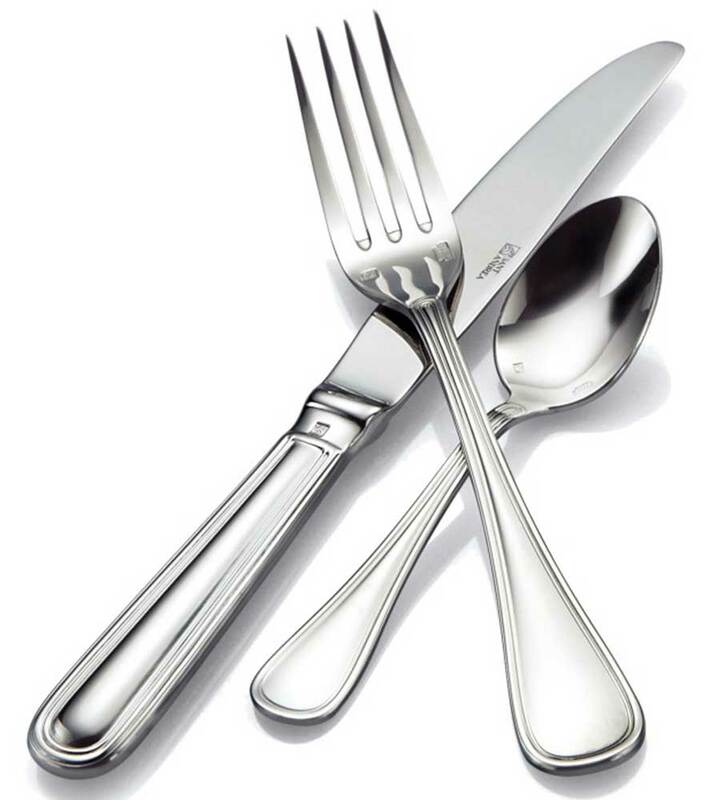 As part of Oneida's elite Sant' Andrea Collection, this highly reflective flatware is worthy of the most-respected culinary establishments worldwide. Bellini is a versatile design that complements most any fine dining dinnerware. Made of 18/10 stainless steel, Oneida's quality commercial flatware helps you get more for your tableware investment by providing a longer life of beautiful, durable service.